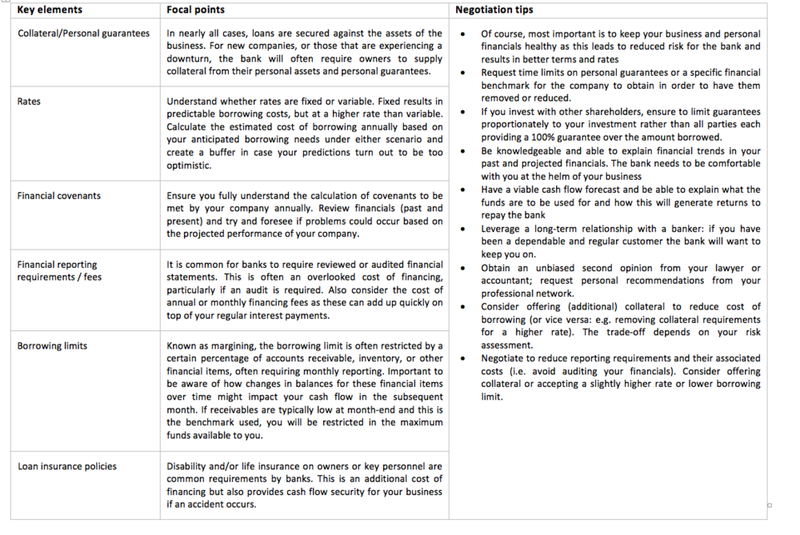 There are a number of key elements to keep in mind when starting the process of obtaining financing from a bank. Keeping these tips and tricks in mind will help to reduce the stress and uncertainty many business owners feel when they require capital. Use this page as a starting point to educate yourself on the most important aspects for your banking agreement negotiations.